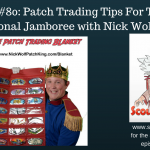 Today on the podcast I welcome Nick Wolf who many of you know as the “Patch King”. 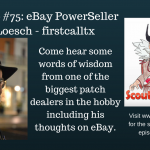 After using some customized patch trading blankets at the 2015 National Order of the Arrow Conference Nick set about seeing if he could design and produce a patch trading blanket for the hobby. After six months of development he released his blanket which features room for up to 30 different flap/CSP shaped patches along with a zipper system to keep them in place. 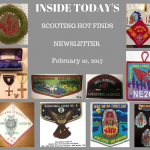 Since then Nick has also released a matching blanket that is the perfect size for OA two-piece sets and is about to come out with one made for neckerchiefs and jacket patches. 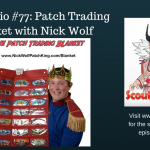 In this interview Nick shares the story of how he got inspired to make the patch blanket and we talk about the process of getting it to production. 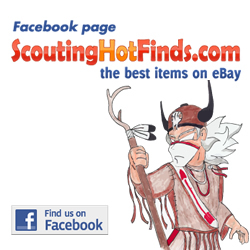 The hope is that many Scouts and Scouters attending the 2017 National Scout Jamboree will put these to good use.